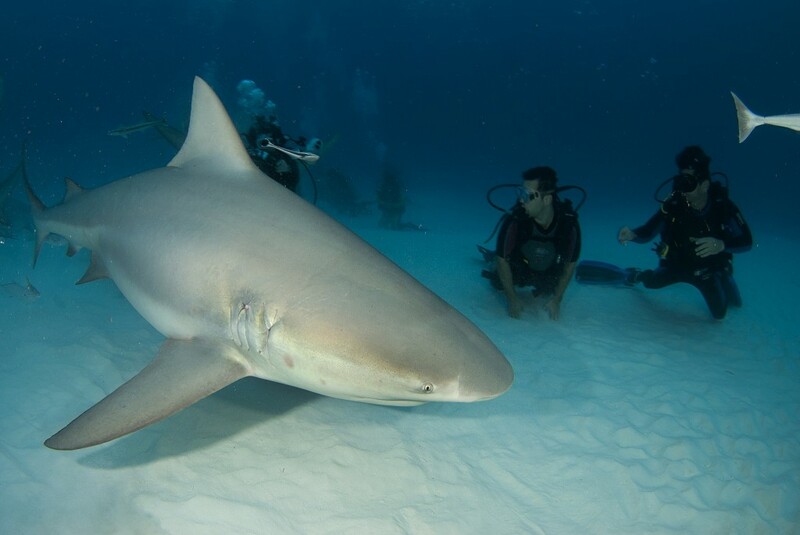 If you come to Playa del Carmen between November and March, you will see the signs of tours of “BULL SHARK DIVING”, And yes, we are talking about actual dives with sharks, specifically the bull sharks! This species is endangered because it was hunted by man unjustly. There have been many attacks on the island of Reunion, but it turned out that it was due to the rejected food waste from men. We do not know when one comes on holiday in the region, but hundreds of sharks swim a few hundred meters from the shore. Sharks are like us,they like to spend the winter in warm weather before returning to the colder and deeper waters. It is the only shark to support fresh water, it is able to go up the rivers (including even up the Mississippi river) to find food! 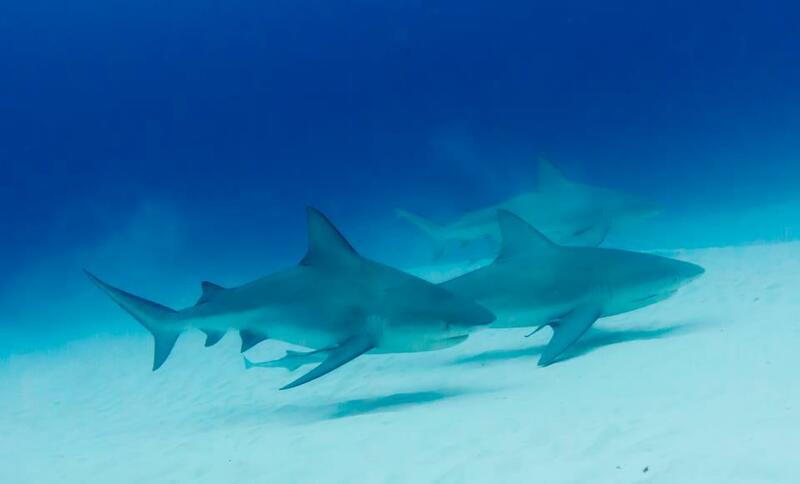 You can take the boat into open waters just 5/10 minutes right in front of Playa del Carmen, and go down, back to back with your instructor, and wait… Wait until the shark appears to us, it happens very quickly, without anyone expecting it. It is said that a shark that does not show before it attacks,will always do a surprise attack and with great speed when you do not expect it… Actually, once someone is in the water, they can only think that like, with Jaws, “when will I get eaten and will I still keep a leg and be able to walk again?”…Anyway, for them your presence is scary. They have emotions, these animals are impressive, and they feel like they have a prey against them. 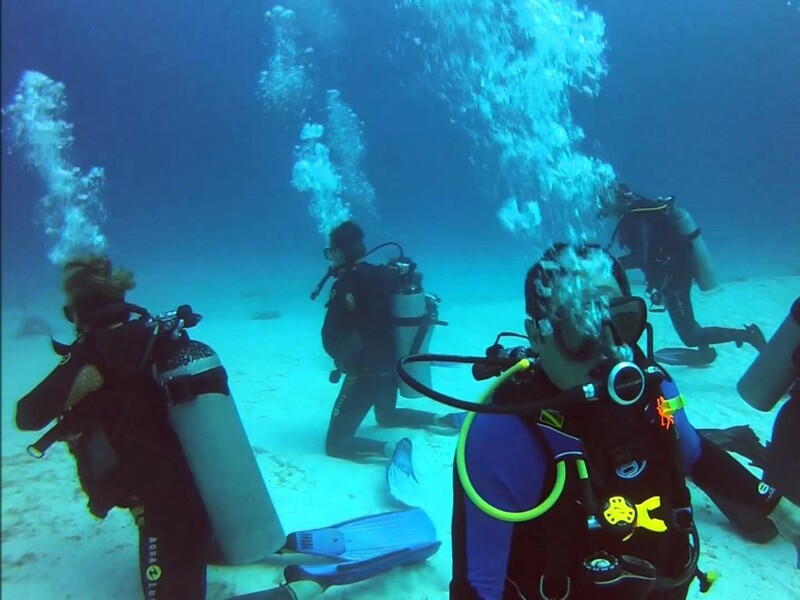 Just as like swimming with whale sharks, this experience it’s really a great experience for all those who love the thrill and marine life; course instructors are trained in this dive, and we do not feed the sharks to attract them, but many agencies do. I do not think it’s something good. In general we may see between 5 and 10 around us. At the bottom of the water, you will drift with the current, and then slowly rise to the surface. 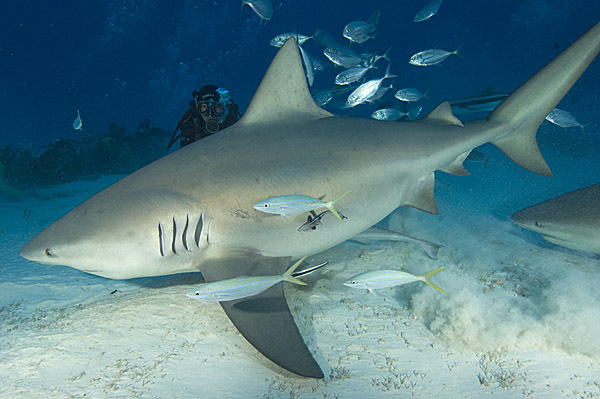 These animals are not any more dangerous than others there have been no attacks on divers since the activity has been available. We must protect this species and not exterminate them as is unfortunately too often the case! We offer this activity through our partners, please contact us for more information.